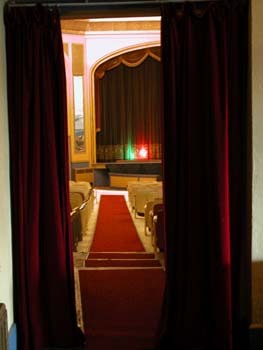 Powell River had its own silent theatre (located at the present cenotaph) where Stan Meade tinkled the ivories, and Bobby Scanlon opened the side door to the children without dimes. He was a well loved manager who controlled the rambunctious teenagers with kindness, and winked at the lovers who sat beneath the balcony. Young Frank Haslam went down after school and flopped back the kitchen chairs to sweep the floor of the old “Pat” theatre. The first four rows of chairs were joined together by a plank underneath, with hinges for easy cleaning. For this service he was allowed to see any show that played, free of charge. 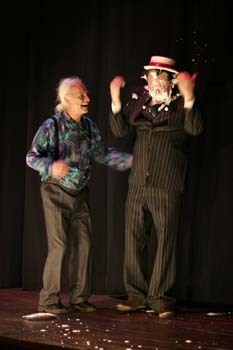 He was also part of a pie-eating contest that Bobby held to draw the crowd one night. 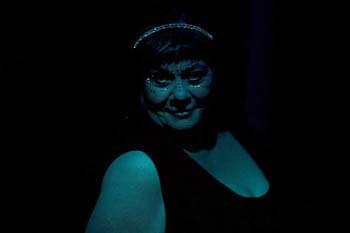 The spotlight was shone on their blueberry faces as Frank was judged first by Mrs. E.A. Sadler and given the coveted prize, an American silver dollar. Curly Woodward was one of those contestants. It took him a week to get the pie out of his ears. He was a regular customer to the flicks, one who didn’t mind getting his fifteen cents refunded when the tall, narrow building shook in the wind, and management thought it too dangerous to stay inside. The boys were a devilish lot who reveled in throwing things. They brought peas and beans from home, and popcorn from the pool hall, and throughout the show threw as much as they ate. As the bad guys started to get the best of things on the screen, Haslam threw an empty bag which went into the fan over the gallery. 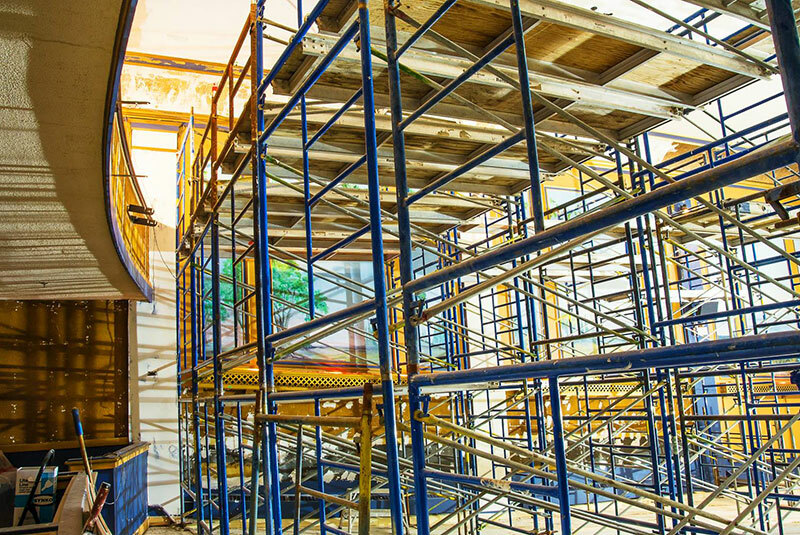 It made such a terrible noise that patrons thought the gallery was going to collapse, and headed for the door in terror. Sometimes the flying objects weren’t thrown. It wasn’t unknown to have bats in the first theatre. At such times the women would utter frightened cries and grab their hair. It never kept them away for long though; they always came back for more entertainment. When Babe Muller’s father was manager of the Avenue Lodge in 1920 – 23, Babe would often sing for the audience. She had a lovely voice which the people appreciated, even if the women were shocked at her low-necked dress, and sucked in their voices in surprise when she came on stage. In 1925, Olive Donkersley took over as cashier from Mrs. Meina Tapp and Gladys Thorpe. 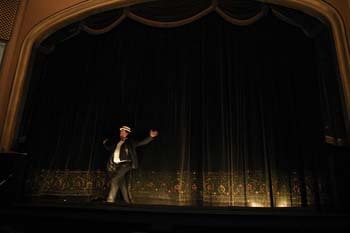 Ernie Hamerton was the projectionist, Bert Vicars ushered the crowd to their seats, and Glen Hayden played the piano for the movie. Alice Cluff recalls this talented pianist seeing a baby on screen, and playing “You must have been a beautiful baby!” at the infant’s funeral. People didn’t know whether to laugh or cry. He was a tease and should a patron need to leave the building for any reason (there were no inside washrooms), he would suddenly change tunes to draw attention to their actions. Not many ever left. He also supplied the mood music for the fashion shows that took place when salesmen from Vancouver brought their clothes and furs to PR. The local girls modeled the luxurious coats before the movie. One summer John Barrymore and Delores Costello came into the theatre in person. Powell Riverites were a little disillusioned that he seemed much shorter than he looked in the movies, but were thrilled at his presence. 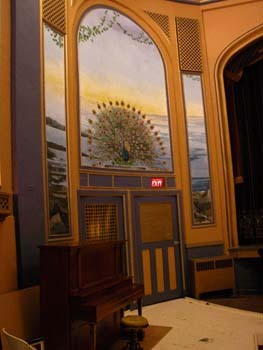 When the new Patricia Theatre, an elegant silent movie house, opened in 1928, Vera Evans from Vancouver was hired as organist to entertain during intermission. Myron McLeod was manager and half-owner of McLeod Scanlon Amusement; Joe Buck was his assistant as well as projectionist (and later, manager and projectionist of the Roxy Theatre in Westview and manager of the Patricia); and Bert Vicars was door man. Olive stayed on as cashier until 1940 when she married Jack Gebbie. Her memories of the theatre are many, like the time that it was broken into and robbed. The theatre paid $41 a month to the PR Co. for the services of the night watchman, until the night of the 14th of March 1932, when the safe was blown and the cashbox stolen by notorious criminals, Bagley and Fawcett. The events of that night rivaled the best episode of the “Keystone Cops” on screen. 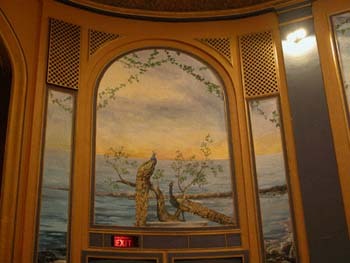 After the safe was repaired, the theatre paid $36 per month for watchman services. The robbery was still talked about when Helen (Young) Meilleur joined the staff in 1937 to work as secretary in the theatre office. Joe buck was still Myron’s assistant; Ian Farquharson had replaced Bert as doorman; Ernie Hamerton operated the projector; Bobby Hatch was janitor and everybody’s assistant; Charlie Rochat delivered the weekly programs, and a long succession of pretty high school girls acted as usherettes. Helen remembers coming when “The japonica and the Japanese cherry and plum trees were in bloom in the theatre ground. I thought this must be the most unique small-town movie house in BC. Perhaps it was. “Since the theatre work was concentrated in the evenings, most of the staff held day-time jobs as well. Myron took on causes; I remember the office at various times being either official or unofficial headquarters for lacrosse, a fish hatchery project, Buy-A-Bomber (wartime fund-raising), Board of Trade, Air Cadets, and School Board Purchasing Committee. There must have been many more. “Tuesday was printing day. The duplicating machine was rolled out to the middle of the main office while Myron and Ernie turned out the week’s programmes. There was lots of ink and paper and noise and a running commentary on the passing scene – and the scene did pass since the office windows looked down on Ocean View Avenue and Second Street, and considerably more. In 1944, parents and loved ones of the boys overseas flocked to see the film that the PR Co. had made of the local service people entitled, Reunion in London. Many tears were shed during the three consecutives showings that were held in the hometown theatre. The show rated higher than Gone With the Wind. Beryl Goddard spent the summer of ’44 working in the Sweet Shop beside the show during the day, and in the theatre in the evenings. Myron McLeod was then the owner of the Sweet Shop that specialized in real chocolates in big candy jars. Turkish Delights and Banana Splits became part of many Powell Riverites’ evening out to the theatre. Marjorie LaVae joined the staff in 1946 as Mr. McLeod’s private secretary and accountant, serving him well until 1955. Beryl returned to work as usherette that year, and sometime after that a candy counter was put into the lobby of the theatre itself. She was making 50 cents and hour as they filled the theatre night after night. 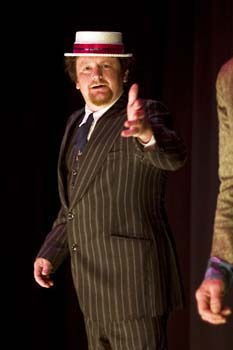 The best-selling show during the thirteen years that Beryl was there was The Ten Commandments, which played for a week. 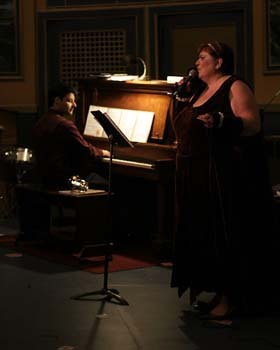 Scottish singers came to entertain on stage three years in a row, and the theatre held a special opera week when they played old operas with stars like Jeannette McDonald. The staff wore white gloves and spiffed themselves up for the performances. 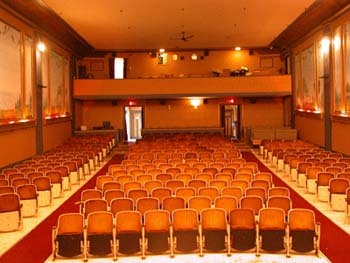 The theatre saw several managers during that time including Joe Buck, Mr. Sheveko, Mr. Reid, Al Hammil, Brian Martin, and Harold O’Keefe. Bob Hatch who by this time had worked as a projectionist for some years, was acting-manager when needed. Beryl was related to a number of employees including uncles, Ernie and Jack Hamerton, and aunt Olive Knotts, Ernie’s sister-in-law. Olive Gebbie, her brother Gordy House who was on the door for a time, and daughter Linda. Altogether they counted up sixty years of service to the Patricia. 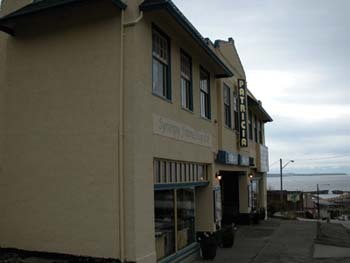 By the time I began working in there in 1959, the wonderful movie-going days were being threatened by television as all Powell River’s living rooms became comfortable theatres. The novelty was overwhelming and competition was never keener. Al Hammil was the manager then, and used many gimmicks to interest people in the movies that were featuring such wonderful stars as Jack Lemmon and Shirley MacLaine. When The Apartment was playing, he advertised it in the “For Rent” column of the classifieds, and when Butterfield 8 was on the marquee, he listed it in the “Personal” section, instructing the reader to phone Butterfield 8. When they did, a recorded message told them about the show, with leading lady, Elizabeth Taylor. 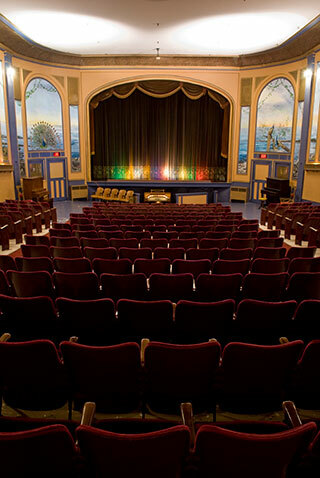 As well as Beryl and Linda, the staff included Ken Anderson, the projectionist, Marion Astrope, candy girl, old John Kynock and Jack Hammerton who took tickets at the door, and fellow cashier, Jeannette Meilleur (later Matson), daughter of former employee, Helen Meilleur. Only Jerry Lewis drew a sell-out crowd then. The line twisted and turned up to the corner and around to the United Church. It was alive and writhing with small boys who shook and sprayed their coca cola, and larger fellows who pushed and shoved into a better position. Teen-age girls with back-combed bee-hive hair-dos cajoled and smiled their way into line, making the queue in front of the ticket booth look like a snake that swallowed a frog. The fifteen-cent Saturday matinee was still a madhouse, with wolf-whistles and feet-stamping, and popcorn snowed on seat and aisle. Boys would yell, seats would bang, and the usher would hurry down to cut the commotion, and all would be surprised innocence – in that corner anyway. Evenings were different. Few children came, and adults bought seats at 75 cents each or 90 cents for loges, and enjoyed the quiet show. The “Carry-On Gang” debuted about this time, and ears were strained to hear every line of the English banter. Content was getting more risqué, and the audience roared at Carry on Nurse when they saw a daffodil adorn patient’s just-below-screen derriere. A week before my eighteenth birthday in 1961, black cat banners were pinned across the poster for Room at the Top of the Stairs, the first restricted show to play in the Townsite. Regulations were so stringent at the time that I wasn’t allowed to sell tickets that night even though the cashier’s door could be closed to shut out the sound track. The rule was no one in the theatre under eighteen years of age, and an inspector could be expected to make the rounds of theatres to enforce this rule. “She just let her garment down,” smiled Henry, who had to answer to the RCMP that night, and to Myron McLeod later. 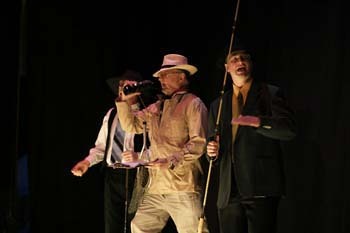 The front-page publicity startled everyone, especially those who had not attended a show since the advent of television. It made Babe Muller’s low neckline seem like a coverall. Henry was responsible for much of the better entertainment as well. 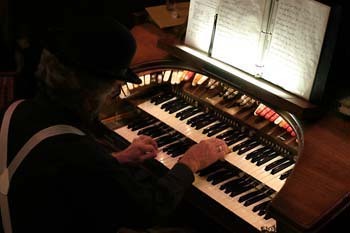 For years after the last theatre in Vancouver had sold its organ, his velvety strains of music filled the Patricia Theatre before and between shows. 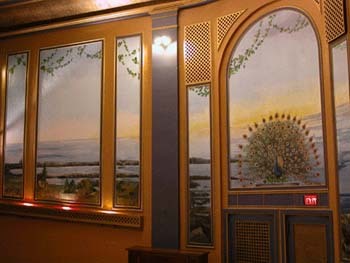 It may have been the last theatre in Canada to feature the organ music; the Orpheum in Vancouver still sported an organ but no longer used it. 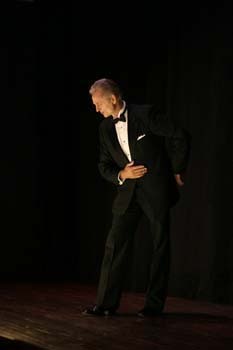 For his last performance Henry tells us he brought in the old silent, Modern Times with Charlie Chaplin, and played “Limelight,” the theme song, and many other selections and improvisations throughout the whole show. Myron McLeod, who had kept the doors of the Patricia Theatre open through the depression and the skim years of the 1950s as well as the cream years of the forties when 31 people were on the payroll, decided to sell. When the decade of the eighties began, it was with new owners, Vi and Bruce McDonald. 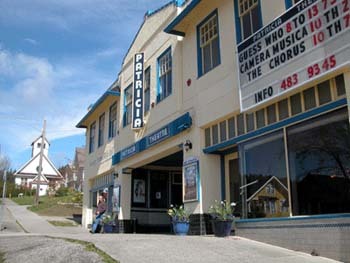 Today, the Patricia Theatre business that Bobby Scanlon began in 1913 in the narrow building that shook in the wind, is claimed by Mr. McLeod to be the oldest BC theatre business still in operation.